“Wisdom is the right use of knowledge. To know is not to be wise. Many men know a great deal and are all the greater fools for it. There is no fool so great a fool as a knowing fool. But to know how to use knowledge is to have wisdom.” Charles Spurgeon. It’s a brand new day to spend time with Jesus! He is longing to meet with you, to give you wisdom so you can be successful in everything you do! Pray for God to give you wisdom to help you understand today’s study and apply it to your life. Grab your Bibles and read 1 Corinthians 1:18-31. If you have extra time, read chapter 2 as well! Write verse 30 in your journal. As a believer, the quest for wisdom must begin in the Scriptures. It is where the foundation is laid for all Truth. According to the Bible, wisdom is really quite simple, yet it is profound! If Jesus is wisdom itself, that means the life He lived here on earth was wise in every way. Wisdom is not this elusive concept that we can’t ever get a hold of, it is a tangible reality lived out by the Son of God. We can observe His life to understand it! To explain a little further, let’s begin with Jesus in the Gospels. Most of us are familiar with his writings and teachings. As we remember the stories and parables, they begin to unfold and we realize Jesus is not your ordinary guy. I mean, He is kind to his enemies and doesn’t retaliate. He heals the poor and sick and speaks words of life to his disciples. He loves little children when they are despised, and forgives those who spit in his face, genuinely loving them! He asks His Father to forgive the very ones who torture and kill him and says not to hold it to their account. There are many more examples, but more importantly, He lives everything he teaches. I wonder. Have we ever realized or thought about it that this is God’s kind of Wisdom lived out for us to see and live? Though it looks completely foolish to an unsaved world, Jesus was our model to teach us how to live as believers. But, how can we as mere humans live like that? The Bible says in John 1:14 (NIV) that Jesus IS The Word! Because Jesus is Wisdom AND He is The Word, He alone is everything we need to live wisely. If we have believed in Jesus, made him Lord of our life and asked for His Spirit, we are already wise and full of the Word in our spirit man, the part of us that becomes saved when we are born again. This is an amazing truth. The Bible says in Hebrews that he writes his laws on our hearts (our very being) when we become born again. God has fully equipped us through Jesus who is The LIVING WORD and WISDOM itself, IN US! That is astounding! To make it clear, though, our physical mind and flesh still need to be sanctified and renewed daily to surrender to the lordship of Jesus (this wisdom) in us. This is why we have the written Word to remind us what the eyes of Jesus see, what his ears hear and what his voice sounds like until we begin to see and hear like him in our own heart. Then HE is the one who gives us the POWER to live like he did! God didn’t just give us the knowledge of how to live right, he actually equips us by giving us the Spirit of Jesus himself! Being in the presence of Jesus brings wisdom. Let’s draw on and give Wisdom and The Word the freedom to reign in our everyday lives. We will become more and more wise like Jesus as we do that! This morning I awoke with these words on my heart: “Wisdom is a beautiful thing to desire.” And then it dawned on me. When we desire wisdom, we are desiring Jesus himself! 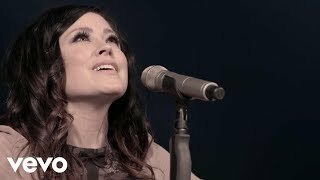 Below is a link to a wonderful song from Kari Jobe/Cody Carnes that invites the presence of the Holy Spirit to come and breath on us. As you listen, let Him wash over you, bringing fresh wisdom and perspective to your day. We are so loved and blessed by God. Pray and ask God is there an area in your life in which you are letting the wisdom of this world guide you? How can you give that area to God today? Be serious about praying and asking God for wisdom each day. Also, ask Him for wise friends and wise counsel who will pray with you. Actively pursuing wise, godly friends in our lives helps us to keep our focus on God. Do you have a wise friend that you can go to with questions or concerns? Praying with a wise friend can bring clarity and answers to any questions we may have. If not, I urge you to pray for God to reveal this person to you. Join the Community! Answer today’s question in the comment box so we can all get to know one another! We at the HCFM are praying for our online community to build relationships, even if they are across the country or the world! Who is your praying friend? How does she encourage you to be wise? “Jesus is the living Word and Wisdom within us.” I absolutely love this, Mari Jo. It certainly gives me something to ponder. Oh Mari Jo how thought provoking this study is for me! Just how God’s wisdom goes against the things of this world and we are called, as believers, to go against the grain and follow His wisdom, which isn’t even appreciated here! Once again, I continually feel God telling me to just Trust Him and put aside the desires of this world! That we will be held high with Him in Heaven even if here on Earth we struggle! Oh the mysteries of God!! In our culture, people aspire to be wise, but I think it can be a pride thing. Wisdom often goes hand in hand with exciting experiences and opportunities; two things that many people are not blessed to have. People gloat their wisdom over others, but the wisdom they have is not from the right source. You have shown us that wisdom is from Jesus. I love what you wrote, “When we desire wisdom, we are desiring Jesus himself!” That is so beautiful. Thank you Rachel! ? Yes, I completely agree! God’s wisdom is so different than the world’s…it actually takes humility to recieve it. Amen, He is so good! Thanks for sharing! This is so thought provoking Mari Jo. Thank you for showing us beautiful things in God’s precious word. Thank you Deb! We are so blessed to have God’s Word available to us!